BRAKE AWAY II | Pro Chem, Inc. 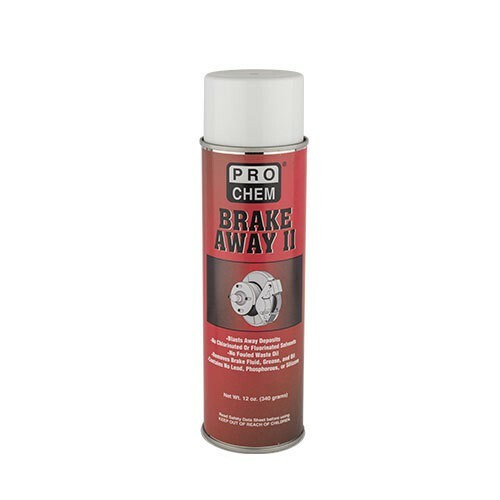 BRAKE AWAY II is a powerful, nonchlorinated, low odor solvent blend which is formulated to dry quickly. BRAKE AWAY II’s technologically advanced formula safely and efficiently cleans all brake parts. This product is also an excellent degreaser for metal parts. In addition, this product instantly degreases and leaves no residue on equipment. Shake can well before using. Spray parts liberally. Air dry or dry with soft wiper. If necessary, repeat application. Avoid direct spray on painted surfaces.